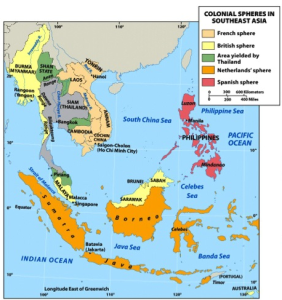 The Dutch East Indies (or Netherlands East Indies; Dutch: Nederlands-Indië; Indonesian: Hindia Belanda) was a Dutch colony that became modern Indonesia following World War II. It was formed from the nationalised colonies of the Dutch East India Company, which came under the administration of the Dutch government in 1800. 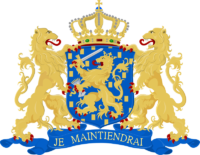 During the 19th century, Dutch possessions and hegemony were expanded, reaching their greatest territorial extent in the early 20th century. This colony which later formed modern-day Indonesia was one of the most valuable European colonies under the Dutch Empire’s rule, and contributed to Dutch global prominence in spice and cash crop trade in the 19th to early 20th century. 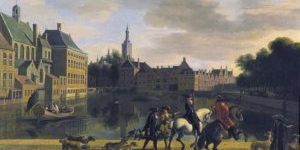 The colonial social order was based on rigid racial and social structures with a Dutch elite living separate from but linked to their native subjects. The term Indonesia came into use for the geographical location after 1880. In the early 20th century, local intellectuals began developing the concept of Indonesia as a nation state, and set the stage for an independence movement. Japan’s World War II occupation dismantled much of the Dutch colonial state and economy. Following the Japanese surrender in August 1945, Indonesian nationalists declared independence on Java and parts of Sumatra, which they desperately fought to secure during the subsequent Indonesian National Revolution. 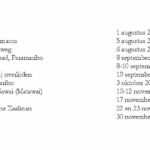 The Netherlands formally recognized Indonesian sovereignty at the 1949 Dutch–Indonesian Round Table Conference with the exception of the Netherlands New Guinea (Western New Guinea), which was ceded to Indonesia in 1963 under the provisions of the New York Agreement.